3D printed food isn't limited to basic sustenance. 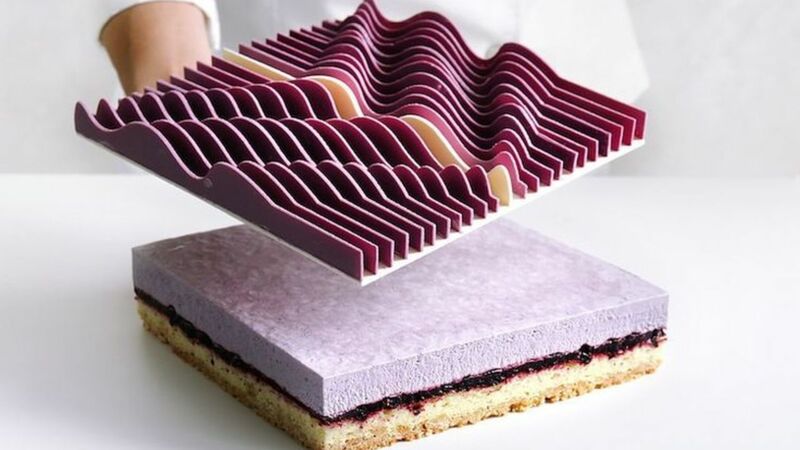 Discover the world of 3D printed cakes, which could well serve to be the future of fancy pastries. 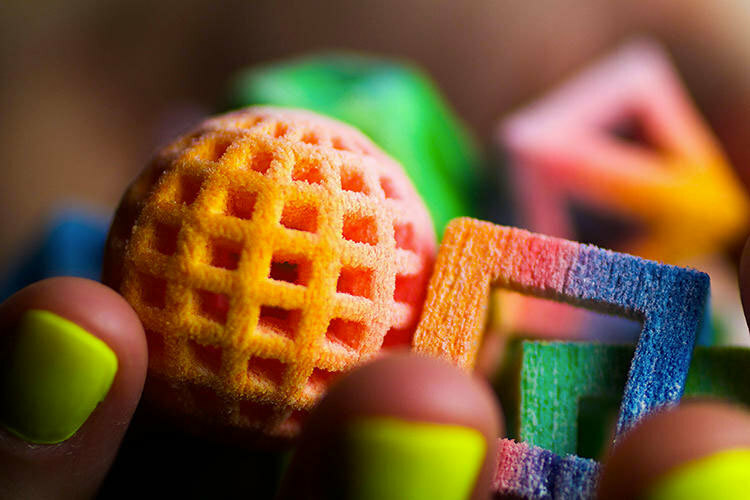 It’s no secret that 3D printed food has been on the rise in the last few years. This drive to print edible material somewhat sprang out of necessity, from NASA’s desire to make more appetizing options for astronauts to businesspeople attempting to bring a quick meal to consumers. 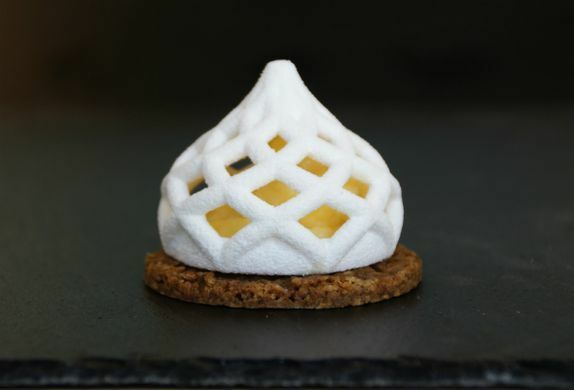 However, the realm of edible 3D printing has surpassed practicality and is becoming a muse for both pastry chefs and bakers, as they continue to test the limits of this technology in their industries. Here are a few notable artists that create eye-catching masterpieces with their 3D printers. The above intricate, geometric cakes by Dinara Kasko are created through 3D printed molds. 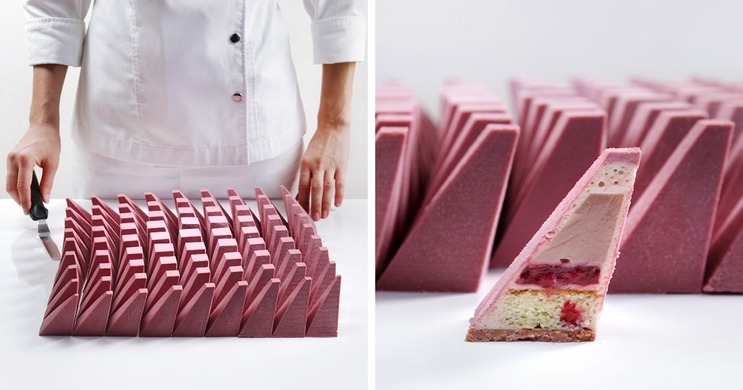 They make the final products look like modern art installations rather than a sweet treat. 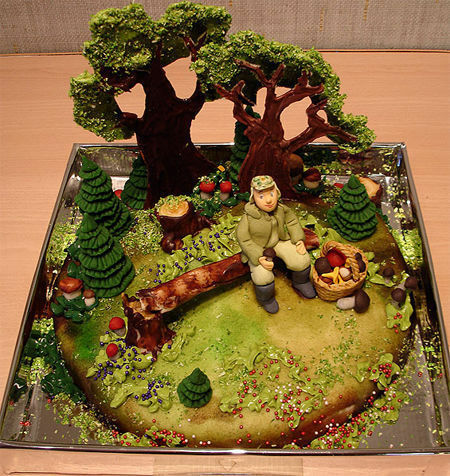 Though Kasko’s work makes it seem as if she’s been baking for years, this artist only recently switched career paths to become an internet-famous pastry chef. Originally an architect, Kasko used her background to bring a creative spin to the pastry world. She programs her designs to be printed into silicone molds that help sculpt her cakes, which have garnered quite a following on social media. She’s a big fan of all things geometric, which is evident in her desserts. Her molds are designed with 3DMAX, created with an Ultimaker 3D printer, and are available for purchase on her website. The brains behind the 3D Cake Creator, Lankford’s vision for the future of cake making, goes further than Kasko’s method. Instead of putting a cake together using 3D printed molds, Lankford wants to directly print layers of cake using a delicious batter filament. Batter is one of the cheaper food filaments to work with, which makes 3D printing cakes an ideal industry to usher into the world. Though there aren’t many details at this time — as the idea is still in process — Lankford hopes to gain enough funding to get the project on its feet soon. The Australian restaurant D’Arenberg Cube boasts a fresh twist on classic lemon meringue pie. It’s the first restaurant in the country to utilize 3D printers in their kitchens. 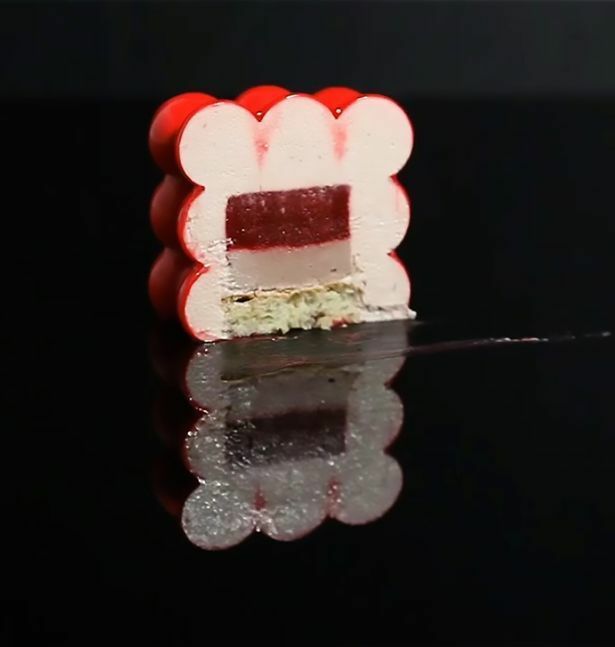 Their tangy treat is the only 3D printed cake on their menu due to the time-consuming nature of the process. Prepared 24 hours before the dinner service, all of the elements come directly from the printer to the plate and are served with pride. 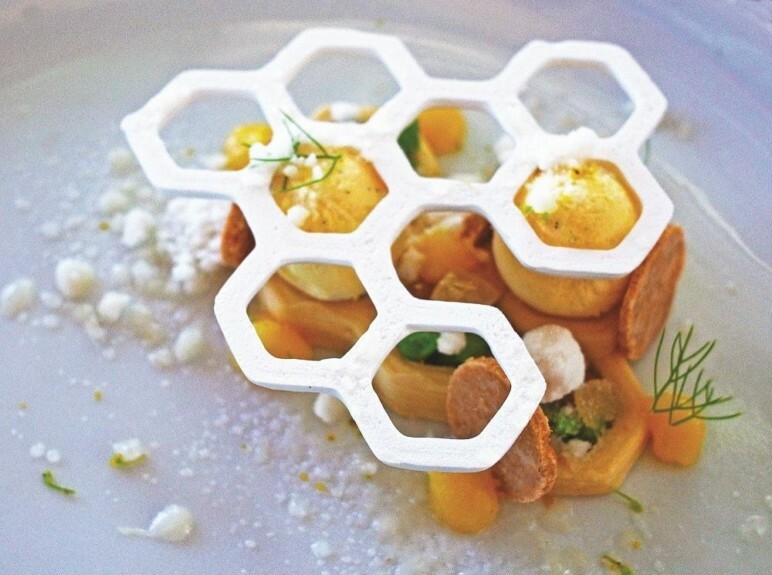 The head chef at the Cube, Brendan Wessels, believes that food 3D printers will play a prominent role in the restaurant business. The sheer amount of patronage the Cube receives proves that his theory isn’t far off! Though they don’t specialize in cake, Sugar Lab serves up candied 3D designs that would make the perfect toppers to the delectable desserts above! The creators, Kyle and Liz Von Hasseln, utilize sugar, candy bases, and chocolate with the ChefJet 3D printer, which can be used as decorations or enjoyed on their own. The duo initially came up with the idea as a gift for a friend, where they created their first sugar topper. From a simple birthday present sprung a full-fledged company, and Sugar Lab was born. The possibilities with sugar printing are practically endless. When the art of cake printing is perfected, its decorating counterpart is ready to spring into action and work side by side with it! For now, customers can only transfer these candy designs to pre-made, traditional cakes — or enjoy them as they are! Though most of these treats can only be purchased through restaurants and professionals, 3D printed cake making may reach homes in the near future. Wouldn’t it be nice to have your cake and print it, too? 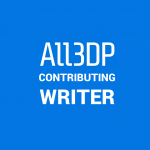 License: The text of "3D Printed Cakes – The Most Mouthwatering Projects" by All3DP is licensed under a Creative Commons Attribution 4.0 International License.